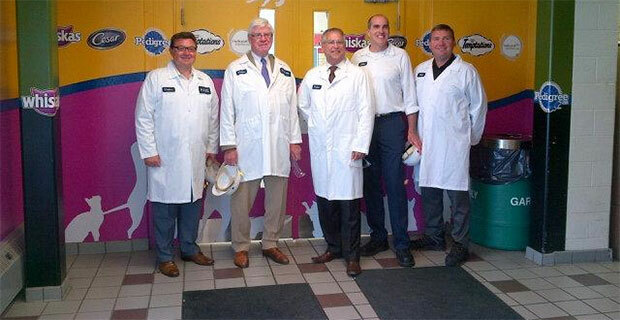 BOLTON, ON – David Tilson, Member of Parliament for Dufferin-Caledon, along with FedDev Ontario Minister Gary Goodyear, visited MultiVans and MARS Canada in Bolton on July 22, 2014. Both Mr. Tilson and Minister Goodyear congratulated MultiVans on its growing successes in the production and sales of truck bodies. With the help of the Federal Economic Development Agency for Southern Ontario (FedDev Ontario), companies such as MultiVans have received funding through a FedDev investment of more than $38 million to Canadian Manufacturers & Exporters (CME). This type of funding is available to new and existing businesses and allows the opportunity to improve productivity and create jobs, which in turn improves the local economy. Thanks to federal agencies like FedDev, an aggressive initiative has been put in place to remove unemployment and as a result, Southern Ontario now has some of the strongest job growth. 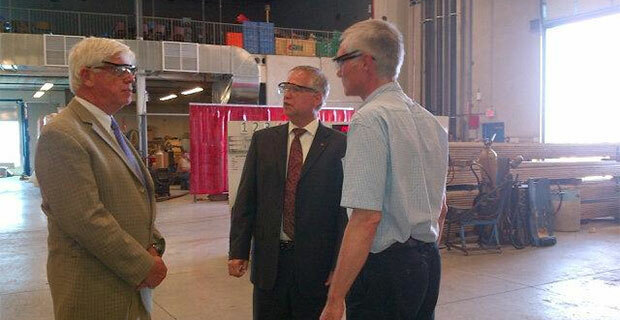 Prior to this visit, Mr. Tilson and Minister Goodyear also toured the production facility at MARS Canada. The tour of MARS Canada was a perfect example of how new technology is creating jobs, as well as improving existing ones.